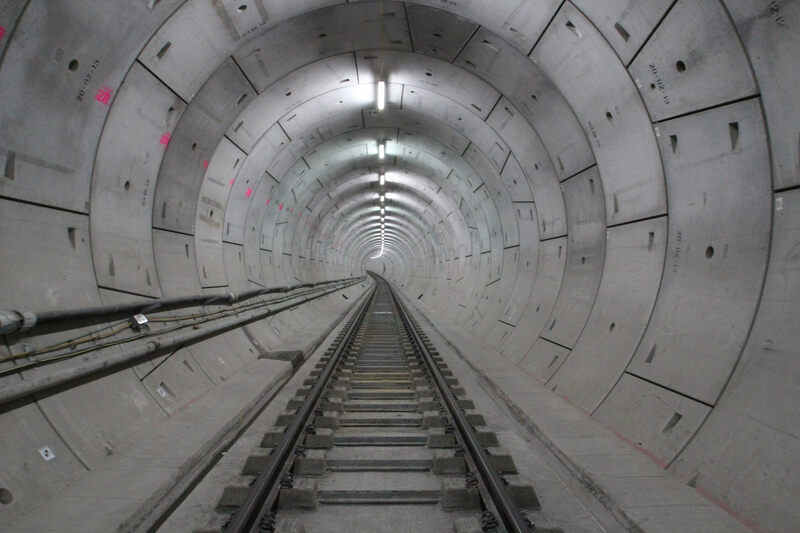 Working with the ATC Joint Venture (Alstom, TSO, Costain) on the Crossrail project, we created an industry-first solution that significantly helped to improve the working practices and productivity on an integral part of Europe’s largest infrastructure development. 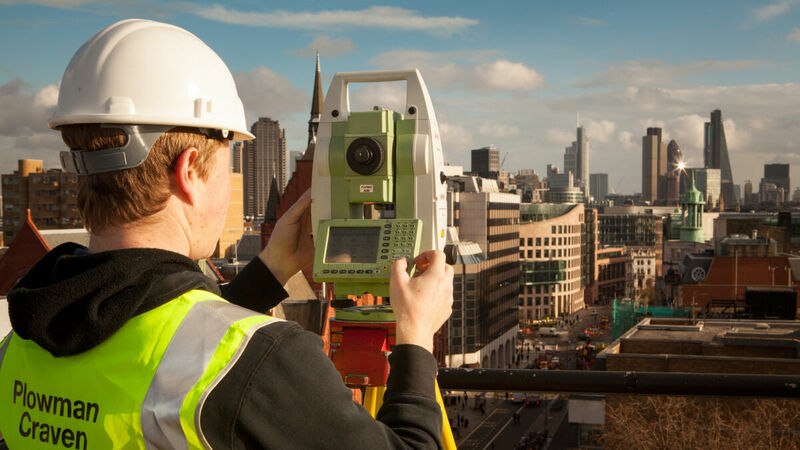 With more than 50 years’ experience in surveying and measuring, Plowman Craven is well used to coming up with innovative solutions to complex problems. 2015/2016 has seen the company continue that tradition of pushing boundaries with the implementation of one of its most technologically ground-breaking initiatives ever. Crossrail is delivering a new railway for London and the South East, building 42km of tunnels, 10 new stations and improving 30 more. The finished railway, which will be named the Elizabeth line when it opens in central London in 2018, will be a fully accessible route of 40 stations from Reading and Heathrow in the west to Shenfield and Abbey Wood in the east. The new service will add 10% to central London’s rail capacity, reduce journey times and increase choice. 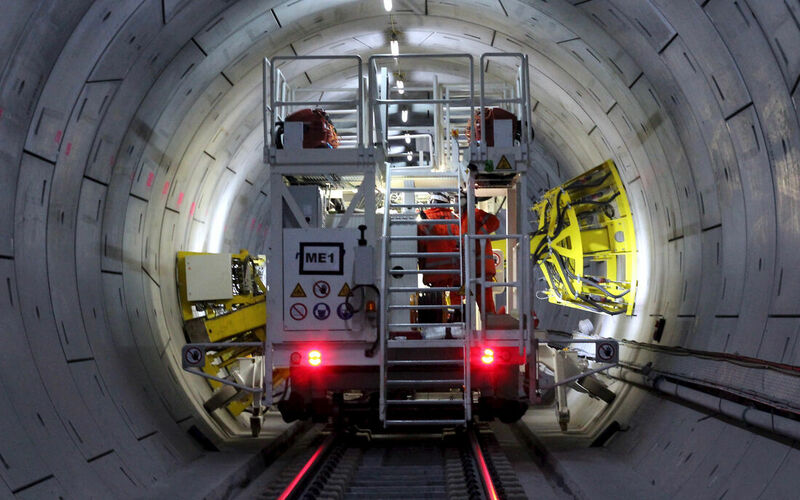 This £15 billion project is a feat of engineering, with the 6.2 metre-wide tunnels created from a series of concrete rings. Each one of the 26,250 rings consists of eight segments, making a total of 210,000 individual pieces. The ATC joint venture is tasked with helping fit out the tunnels with the necessary infrastructure and systems required to turn the tunnel into an operational railway. This includes drilling around more than 250,000 holes to enable the installation of an emergency escape walkway, a cable management system, overhead power lines and all necessary signalling and lighting. In a world-first, the holes are being drilled by an automated drilling machine (comprising two machine components) developed by Swiss company, Rowa. The project is a feat of engineering, delivering a new railway for London and the South East, building 42km of tunnels, 10 new stations and improving 30 more. Created from a series of concrete rings. Each one of the 26,250 rings consists of eight segments, making a total of 210,000 individual pieces. This includes drilling around more than 250,000 holes to enable the installation of an emergency escape walkway, cable management system, overhead power lines etc. Scanning and surveying companies were invited to tender for the job, but because the drilling machine was new and no existing spatial data solution was in place, the challenges were myriad. With 42km of tunnels and 840,000 points to model, it was abundantly clear that deriving each segment corner position from the point cloud would be an incredibly complex and time-consuming process. There had to be a better way of doing it - we just needed to find it. Plowman Craven’s Rail team came up with a unique solution to speed up the CAD processes and enable these unique drilling machines to be deployed. In its simplest terms, the 3D point-cloud was transformed and unwrapped into a 2D surface, enabling the CAD drafting to be undertaken much more quickly before being re-wrapped back into the original 3D coordinate system. 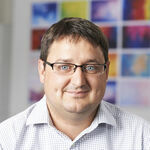 That was the theory, but in order to make it work in practice, Plowman Craven worked with Atlas Computers to add a number of bespoke routines to their Survey Control Centre software that would enable a more efficient method of rapidly producing the wireframe and coordinate schedule. With such dedicated and specific expertise, the process was perfected to ensure optimum results – and after weeks of rigorous testing, we were satisfied that this highly complex new process was robust enough to tender. Once the contract was awarded, work started immediately in summer 2015 and the results were better than anticipated. From the outset more than 500m was being covered every day – a 50% improvement on previous techniques. But it’s not just about the numbers….the human impact has been considerable. 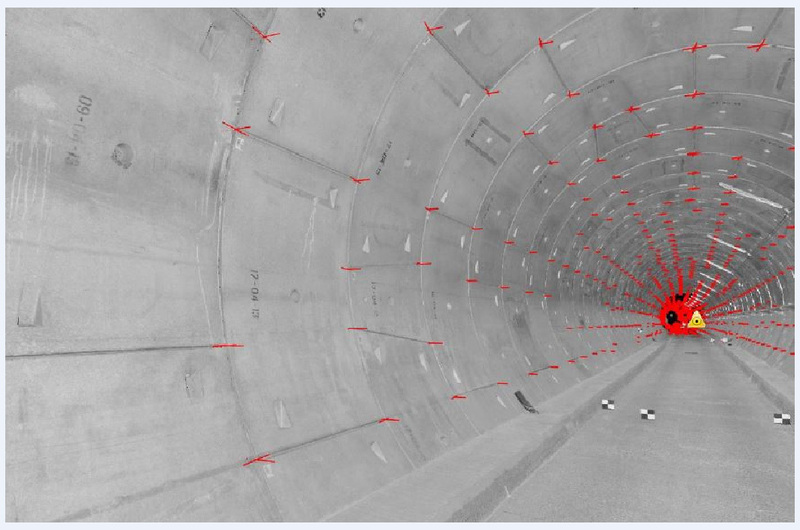 Traditionally, the point cloud data would be used to physically mark the position of every hole in the tunnel lining before it is then manually drilled. Thanks to the automated drilling machines, facilitated by the new processes, workers are no longer in physical contact with the drilling tools. As such there’s none of the risk associated with vibration through the arms and hands, there’s no danger from working at height and with a highly advanced dust suppression system, the risk of inhalation for staff working in the tunnel has been reduced by 99%. ATC’s decision to commission two drilling machines for the mechanical, electrical and power fit out was substantially founded upon a conviction that surveying could be efficiently used to map out the tunnels and establish the guidance required. The subsequent collaboration with Plowman Craven is delivering these requirements and has established best practices for the efficient scanning and modelling of bored tunnels for the purposes of drilling. Of particular note has been the development of a new process that unwraps and projects the 3D tunnel into 2D CAD and allows simple and rapid extraction of the segment positions. Drilling is now being undertaken at record rates with unprecedented levels of quality control thanks to the success of the drilling machine project. Plowman Craven’s contribution to this success has been significant.